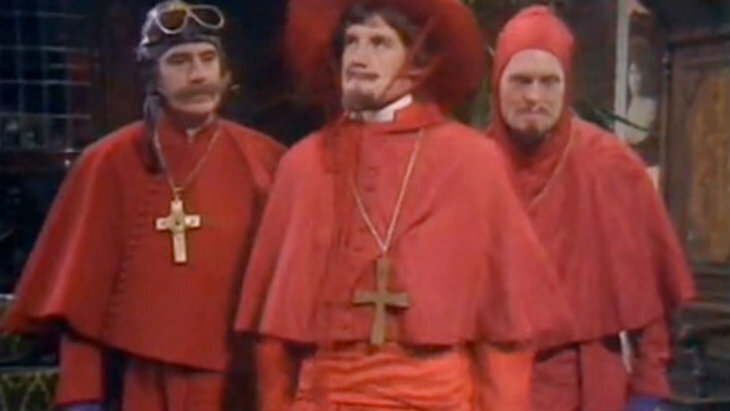 We knew that Dragon Age Inquisition would get a collector’s edition, it was only a matter of time. 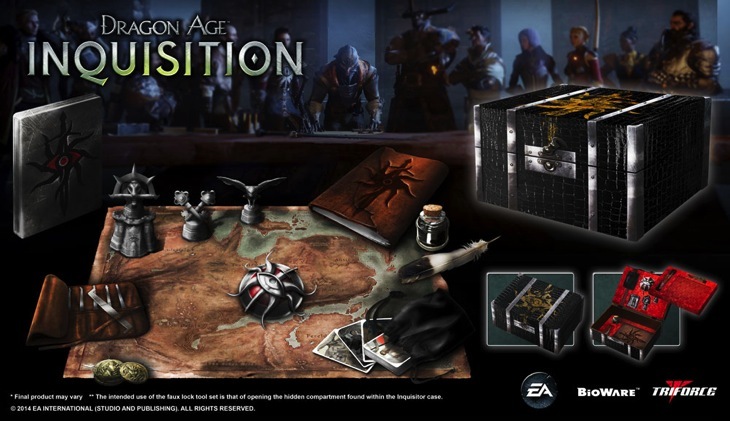 I love the fetishization of games that happens when we reveal a collector’s edition, and this was is particularly pretty – it even gives you all the tools you need to be a real inquisitor. Highly detailed exclusive Inquisitor Collector’s Edition case produced by TriForce measures approximately 8.5″ x 13.5″ x 14.5″ – The case is individually wrapped in faux reptile skin, has the mark of the Inquisitor stamped on top in gold foil, with an interior fitted with imprinted red silk. Now remember, that Deluxe Edition of the game also includes the throne made out a dragon skull and the as-yet-unannounced extra digital content. I am itching to get my hands on this collector’s edition; I can actually read tarot cards and I already prefer writing by hand with proper liquid ink. Just imagine the fun I could have with this set. Not that I’d actually use the quill and ink – it would probably go into some form of glorious display case I’d need to buy just to show off all this stuff. Of course, it boasts quite a heavy price tag, retailing for $170. Considering exchange rate, import costs and mark up we’re looking at… R2000-R2300? Obviously, that’s assuming that it comes to this country. It’s quite a price, but I think I’d have to pre-order this upon arrival. It’s far too impressive to pass up. Take notice publishers, this is what a Collector’s Edition should look like. Oh wait, there’s no figurine. Bah! Next article Midweek Mouth-off: Gaga for Godzilla?